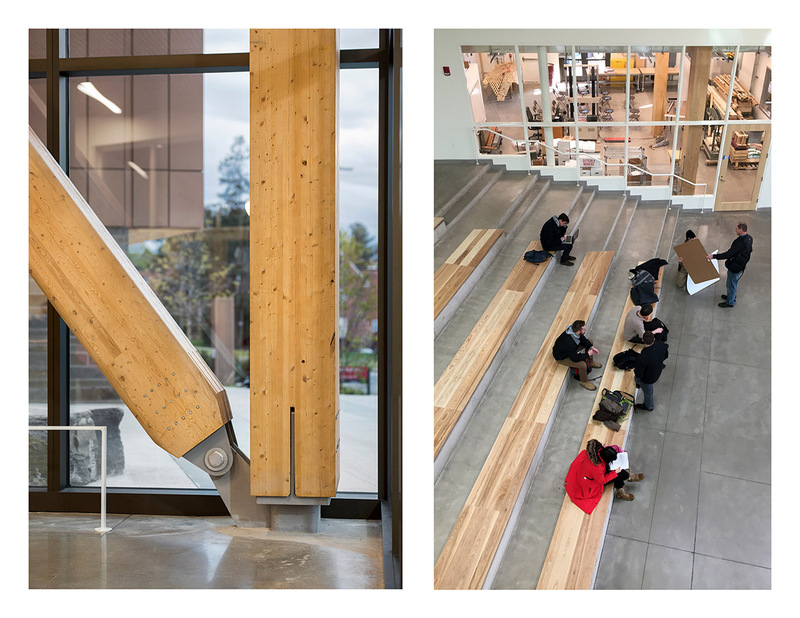 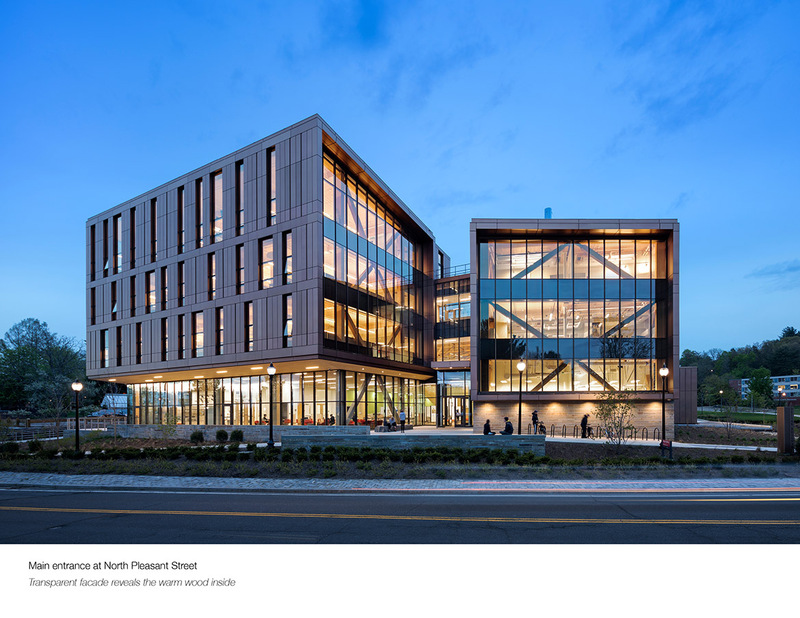 Jury comments: The applications of cross-laminated timber (CLT) in the John W. Olver Design Building are so varied that the presence of wood—from giant beams to ceiling slats—doesn’t feel unrelenting. 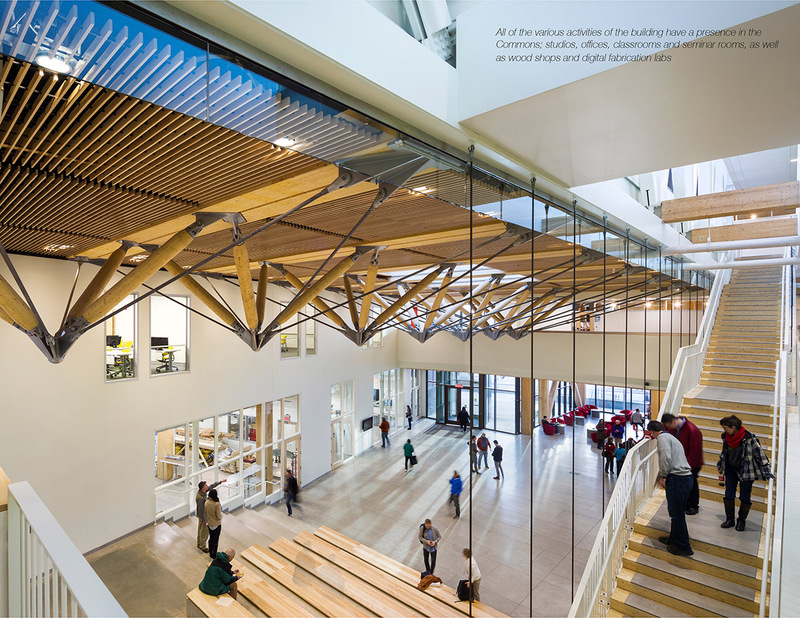 In fact, the CLT makes the interiors refreshing, defining space in diverse yet cohesive patterns. 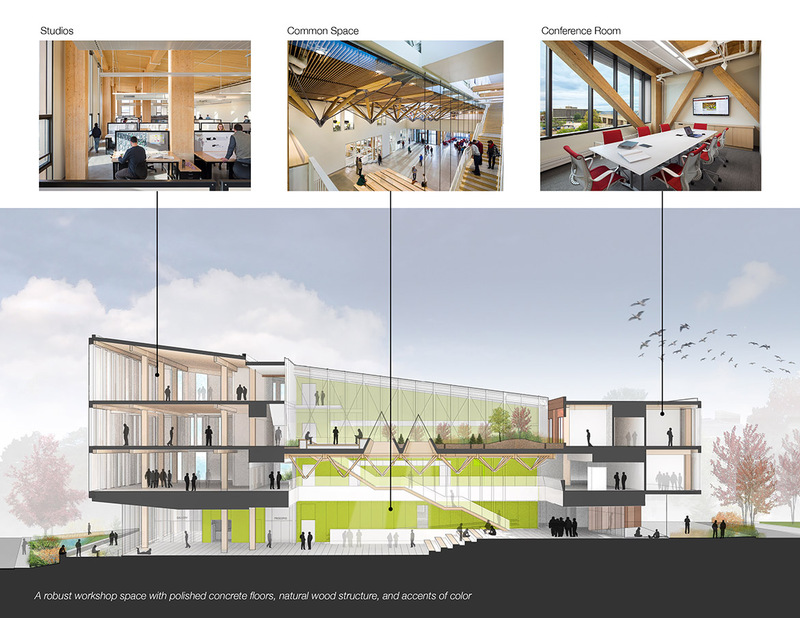 The jury questioned some elements: the lime green accent, the activation of some marginal space. 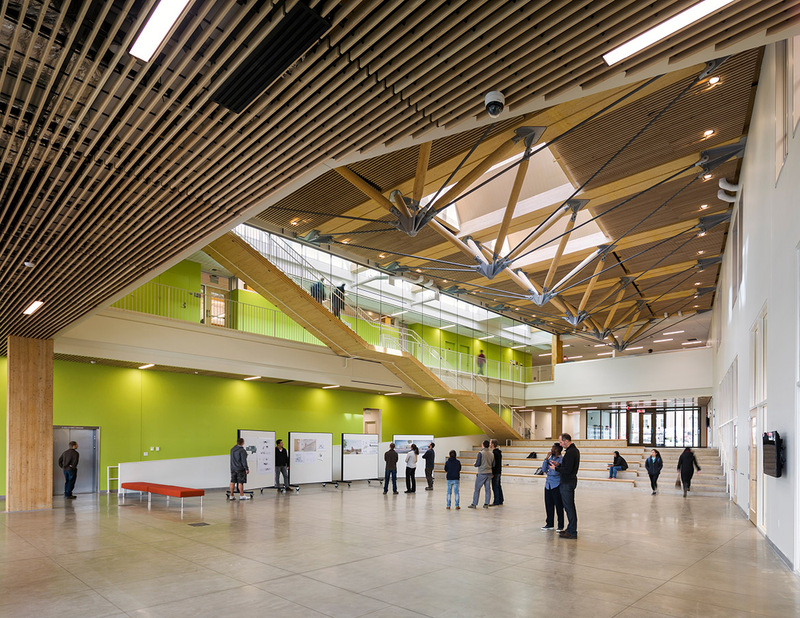 Still, they agreed this is an exemplary educational building.